Do you look at a photograph and hurtle back to a docent place and time? 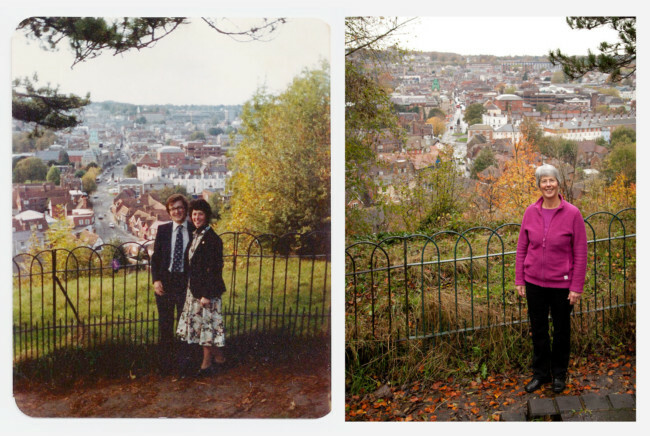 “Loved & Lost is a documentary that explores our experiences of loss through photography and audio interview,” says the project’s creator Simon Bray. “Each participant is asked to find a photograph of themselves with their lost loved one. We then return to the location of the original photograph to replicate the image.” It’s a brilliant idea expertly produced. We appreciate the power of photographs, and wonder which ones we should keep to live with and become part of who we are.